At the heart of scrapbooking is the idea of preserving memories and telling stories in a meaningful way that will last. 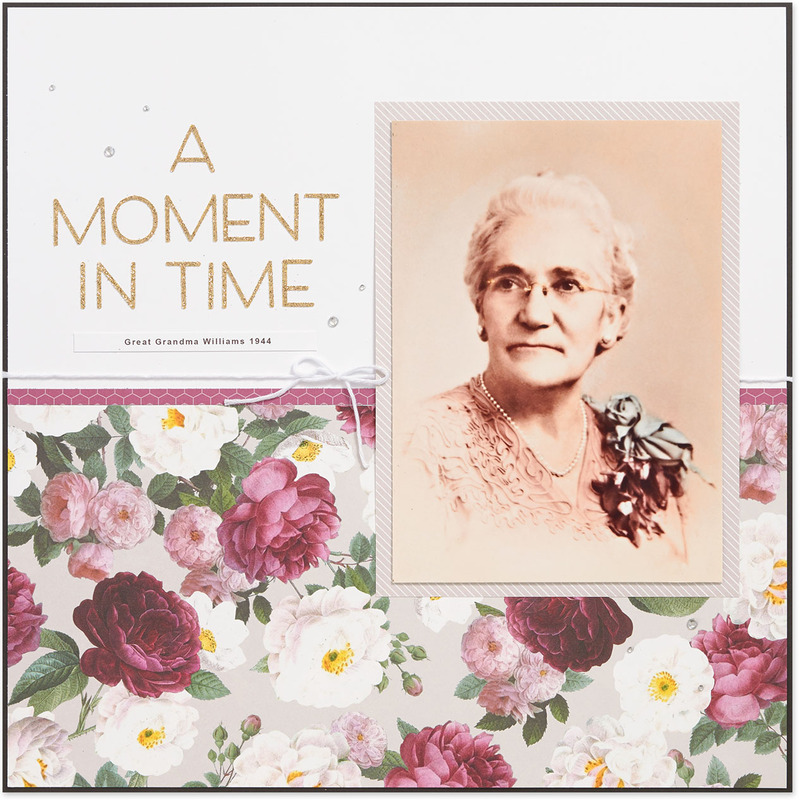 Scrapbooks are a great way to preserve your family’s history and be artistic at the same time. 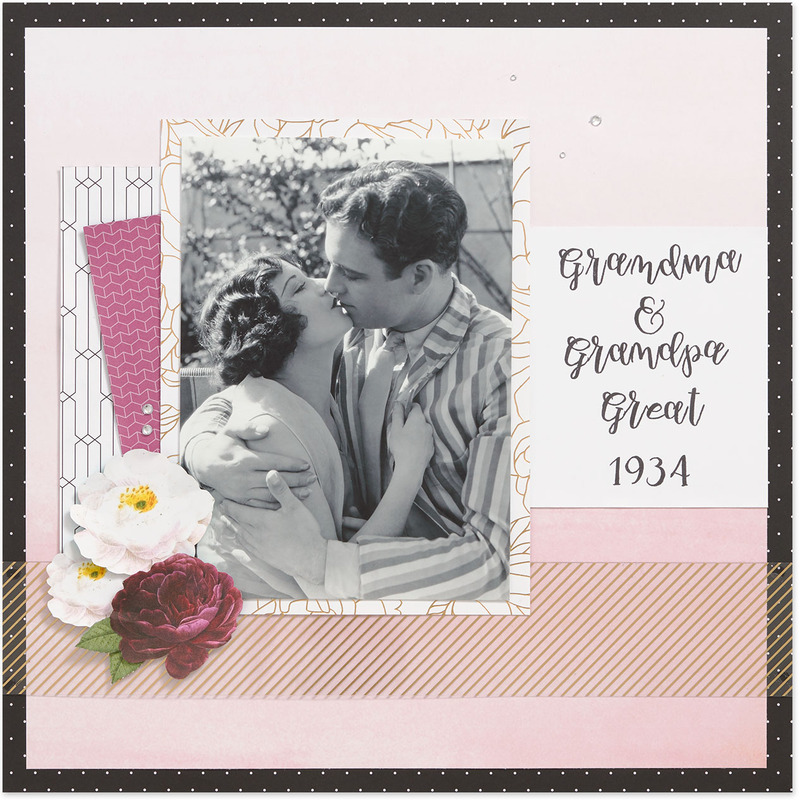 Our Live Beautifully paper packet, which is only available this month as part of National Scrapbooking Month, features vintage-inspired designs that are perfect for heritage scrapbooking. The beautiful flowers on this page were trimmed right out of one of the Live Beautifully papers. To really make them pop, we curled up the edges and attached them using 3-D foam tape. They look like they’re blooming right off the page! This page also shows how the All About the Gold Fundamentals make a great companion to your Live Beautifully papers. They are 12″ x 12″ clear overlays with gold foil designs; on this page we used the diagonal stripes design. These overlays work really well with the gold foil accents featured in the Live Beautifully paper packet. And while we’re talking about gold, let’s not overlook gold glitter paper! We used it to mat our photos here, and we love the results! Gold glitter paper looks really elegant with sepia or black and white photos. We finished the page off with some gold foil accents from the Springtime Complements, including the title. Which additional products do you like to use with the Live Beautifully paper packet for your heritage scrapbooking? Tell us in the comments below!